Hot Springs, Arkansas, (population 35,750) the nation’s only city located within a national park, is named for 47 hot springs that flowed down its mountainsides forming thermal pools. Native Americans inhabited the area for 10,000 years before European settlement. In 1832, President Andrew Jackson established Hot Springs National Reservation, the first reservation of lands to protect a natural resource. Hot Springs was Arkansas’s capital during the Civil War. Post-war, businessmen flocked to the city to construct railroads and hotels. Illegal gambling defined Hot Springs in the decades following the Civil War. Oaklawn Jockey Club is one of two legal gambling establishments in Arkansas. It has played a major role in the economy of the city since 1905. There are two historic districts in the city and the Quapaw Prospect neighborhood is listed on the National Register of Historic Places. One of the historic districts, known as Bathhouse Row, is famous for its eight bathhouses that line a portion of Central Avenue in downtown Hot Springs. This district was listed on the National Register of Historic Places in 1974 and became a National Historic Landmark in 1987. The bathing business began to decline in the 1950s, and the bathhouses began to close. In the 1980s, local citizens and the National Park Service began exploring ways to return Bathhouse Row to its splendor. In 2004, the park received the first of several appropriations to rehabilitate the vacant bathhouses. 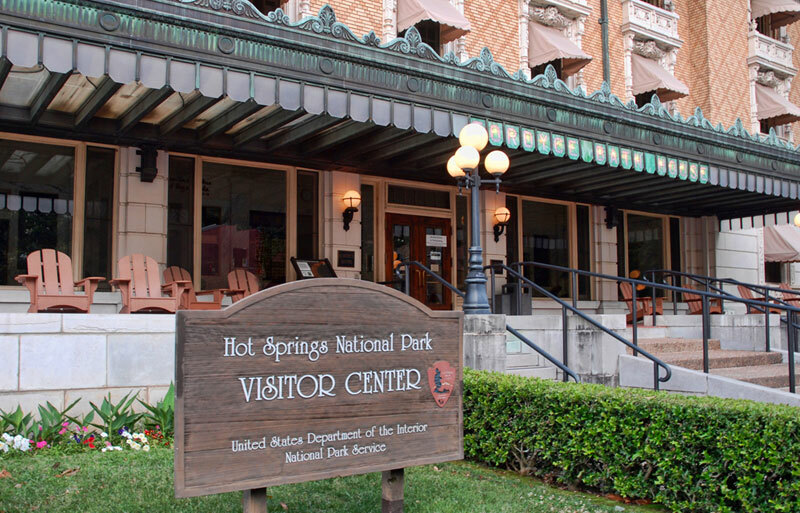 Hot Springs maintains ongoing inventory records of structures in its historic districts, as well as individually listed structures and sites in the city, and the records are available to the public. In addition, several museums in the area showcase the city’s past. For more than 40 years, the Garland County Historical Society has maintained records and relics. Its collection includes more than 12,000 photos, newspapers, maps, and other memorabilia. The UZURI (Swahili for beauty) Project, sponsored by the P.H.O.E.B.E. (People Helping Others Excel By Example), identifies, collects, documents, records, and displays cultural and historical resources of the African American community in Hot Springs. Currently, the UZURI Project has more than 1,000 historic photographs. Each year, the city hosts several events to promote cultural and heritage tourism. One is the Hot Springs Music Festival, which brings international musicians to the city each year. For two weeks, the festival pairs world-class musicians with especially talented pre-professional apprentices. Together, they present 20 concerts and more than 250 open rehearsals. This annual festival has been a benefit to the economic vitality of the city. In addition to the music festival, the city hosts Arkansas Oktoberfest, a two-day event featuring traditional German-inspired activities, foods, and dancing. The Annual Shortest St. Patrick’s Day Parade is held yearly on historic Bridge Street in downtown. Bridge Street became famous in the 1940s when Ripley’s Believe It Or Not designated it “the shortest street in the world.” It draws a crowd of up to 20,000 visitors each year.